Just a quick kudo to Mountain Sun. 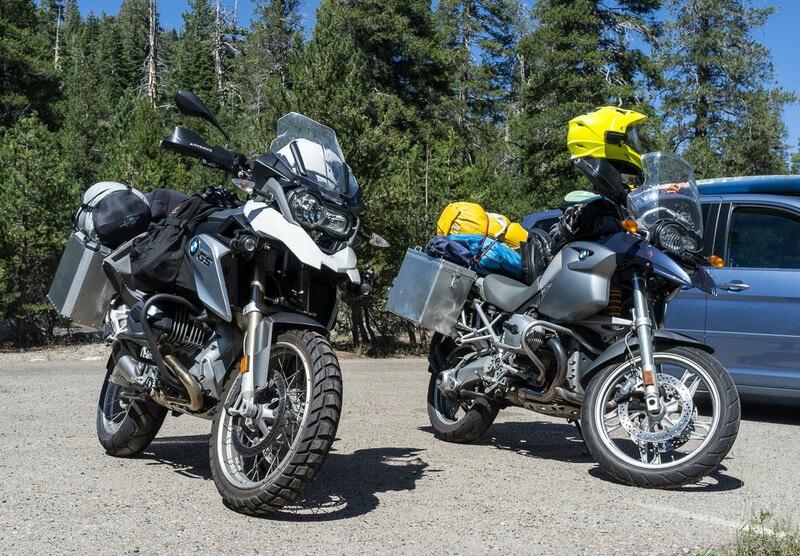 I have seen a number of advriders (notably the Mayor.. Richard Cabesa) using their panniers on a GS. I went to the '49er BMW rally in Auburn last week and saw their product and was impressed with the owner, Jim Colburn. When I got home, I mulled the idea over a couple of days and checked their online catalog and to my dismay, the 28-L pannier that I wanted was no longer available in the color I wanted. So, I emailed and within an hour I had a reply. Jim confirmed that the color (red) was not available anymore, but that he had one set left, his demo set and that if I really wanted red, I could have that one. 48 hours later they were on my doorstep. Good service, if you ask me. I too was looking for red when I bought a few weeks ago,but no luck,he even searched the warehouse for me. Did see at least one new red set on Sat.at the same rally,was tempted to buy them and sell my black ones,but didn't. I really like them,still need to adjust them a bit,as I find my kneepads bumping into them when fully loaded.This should be an easy fix,as there are myriad adjustments. Excellent product and as stated,quick shipping. I dont think so but they should be water resistant. 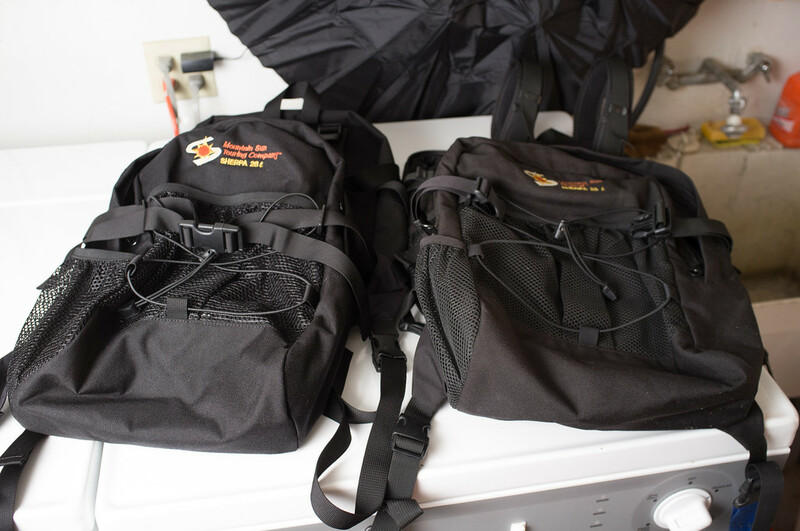 I ordered Tank Panniers from Mountain Sun on July 1. I received a notice from UPS that they had shipped that day. I expect them on the 6th. I anticipate giving them a mini try on the 7th and 8th. I can't say enough about my Mt Sun tank panniers. Love them. Bought them over 6 years ago at Chief Joseph Rally. They are really tough. You can carry all the water and wine you need in them! 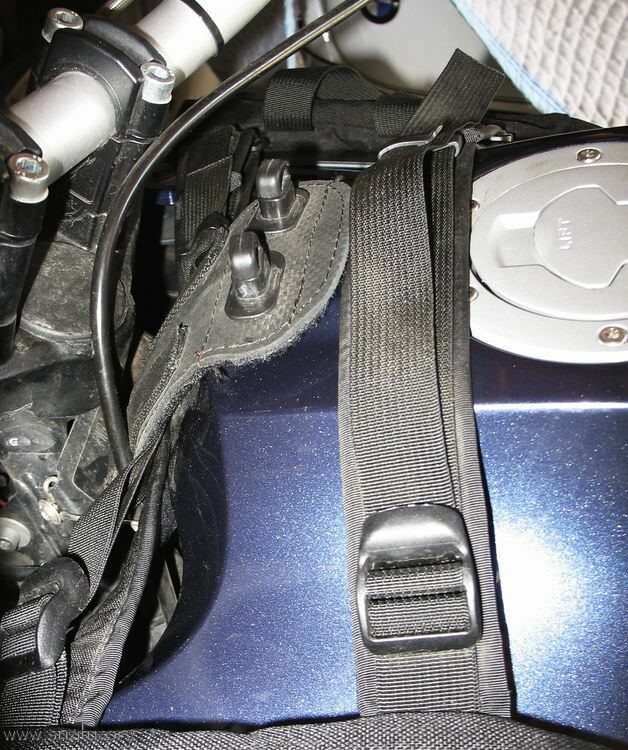 Jim saw me at a rally several years later and gave me plastic edge [fit on gas tank seam, prevents strap chaffing.] protectors at no charge. They are waterproof, but will leak around zippers, of course. No. They are water resistant however. I bought a pair a couple years back at the 49er. VERY good customer service. As part of the prep to take them to Alaska last summer, I seam sealed them and sprayed the heck out ouf them with water proofing. Had them pretty well sorted. They fought a valiant fight and protected most of my gear most of the time but they are not water proof after a fashion (8 hours of non-stop rain between Faibanks and Anchorage is a great, if a tad unfair, test). They did a pretty good job but when we finally got to ANC water had made it through and some had pooled in the bottom. Sooooo, don't put un-protected paper in there or a camera that can't handle a little bit of moisture. Now with that being said, the rain was so bad at times and the road so wet (spray) I think it would have been unreasonable to expect something up front like that to really keep rain out. They did WAY better that I was hoping for given the circumstances. They are a good product and I was happy about their performance. I'd buy them again. I wish they still made their MotoCabana. I just spent a couple days riding in and out of heavy rain, over athe course of a week. I sprayed them before I left, (brand new) and they were great, no pools of water in them, not even wet inside, but I didn't test them like Idea Man. I emailed Jim Colburn yesterday about there moto-cabana. He responded quickly and told me he has them in stock. Hopefully bringing me one to Top of the Rockies Rally, in Co. I have the tank Panniers not water proof but there GREAT ! Well, I dont know if I am going to like these bags. I am going to hit them with my knees. 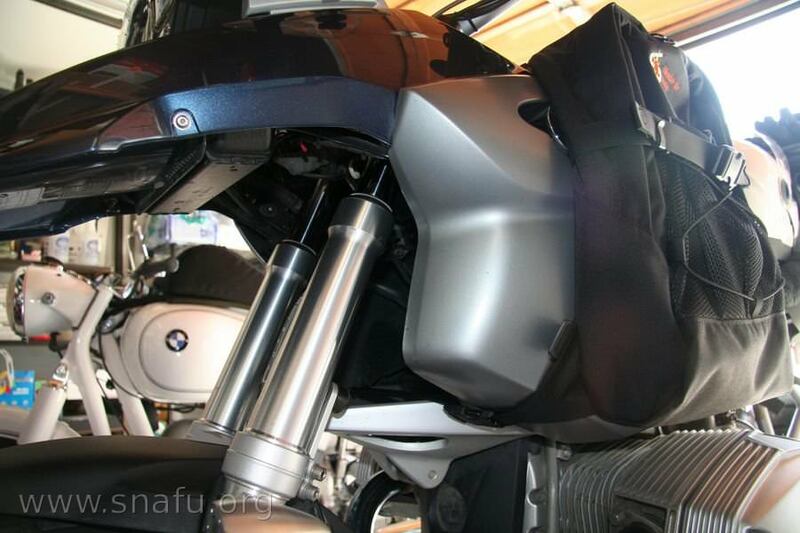 And the bags can slide so one rest on a cylinder. Also I wonder if all the plastic the bags and straps are resting on is going to hold up. 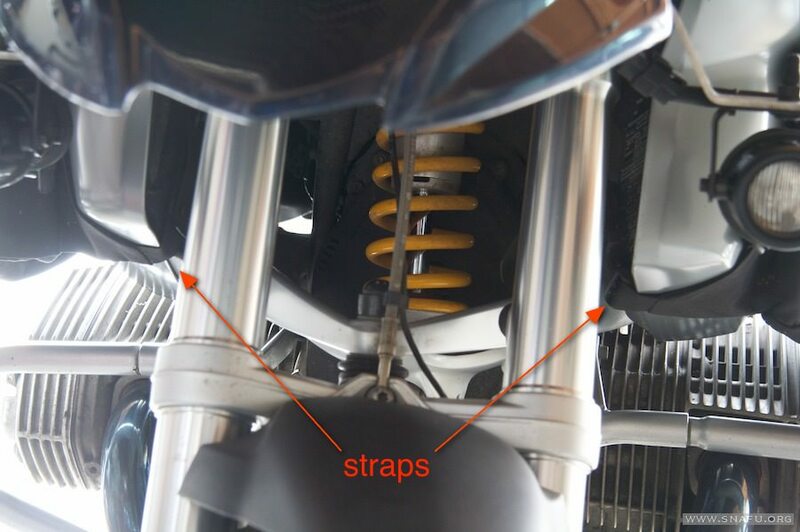 The lower front strap is supposed to go in front of the shock but the telelever arcs up. WTF is going to happen then? The strap is going to tighten. The extra room is nice; I can carry my kitchen in them. 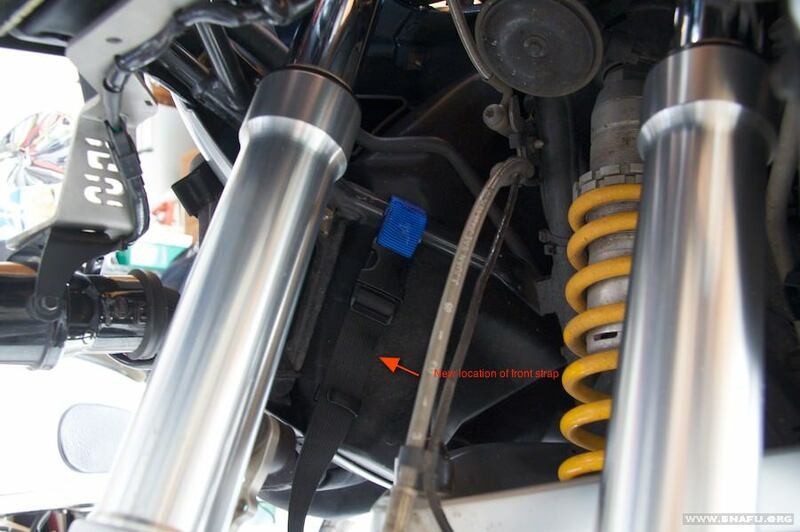 The lower front strap is supposed to go in front of the shock but the telelever arcs up. WTF is going to happen then? The strap is going to tighten and perhaps, break. I was hoping to use my new bags tomorrow. I called Mountain Sun but no one answers. Am I looking at the installation of the bags wrong? I cant see how the lower front strap can go over the telelever and still work. Am I looking at the installation of the bags wrong? I can&#8217;t see how the lower front strap can go over the telelever and still work. It does. I've used the bags with the strap over and under the A arm. Both worked. But what worked best was to permanently attach tie points to the frame under the tank that keeps the strap away from the telelever. The excess strap was trimmed and used to make a male-male adapter for the other side. Ill use the bags on my trip tomorrow. Its only two maybe three days. These are nice bags but my knees are right into them. Thanks again for all the information you provided. Its very helpful. Since this thread seems to be a Mountain Sun lovefest, I thought I'd add this: There seems to be a nice 15% ADV discount going on at Mountain Sun Touring. Here's a link to the post in the Vendors forum. Resurrecting a very old thread. Mountain Sun have the bags in stock again and have sent me a set. I've put together a page comparing the bags I got in '06 with the current version. All in all it's hard to tell that any changes have been made unless you have both in hand. The biggest difference is that my almost 8 year old bags are slightly faded and the new bags aren't. Anyway, http://www.snafu.org/pics/r1200gsw/2014/0102-tank-pannier/ compared the old with the new. 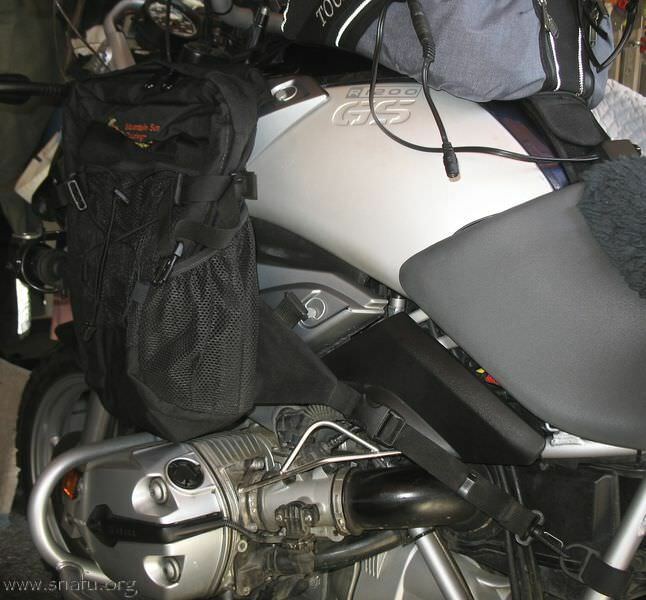 What do you typically carry in your tank panniers? Raingear? Kitchen? Water/fuel? 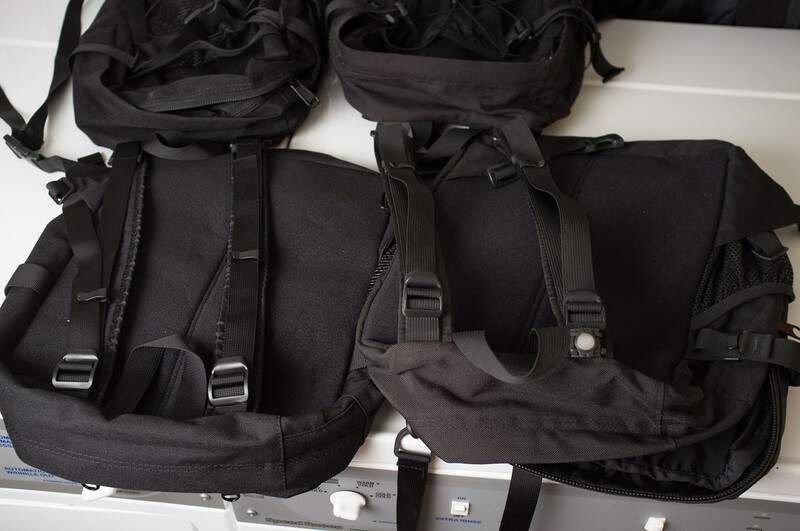 Have you found them to be a reasonable replacement for your tank bag or have you found that now you carry too much stuff? I ask because I got a set of these off of an inmate and have yet to mount them to the GSA, because I haven't really thought I'd need them. If I find, or can make, and excuse I'll mount them up on my next day off. 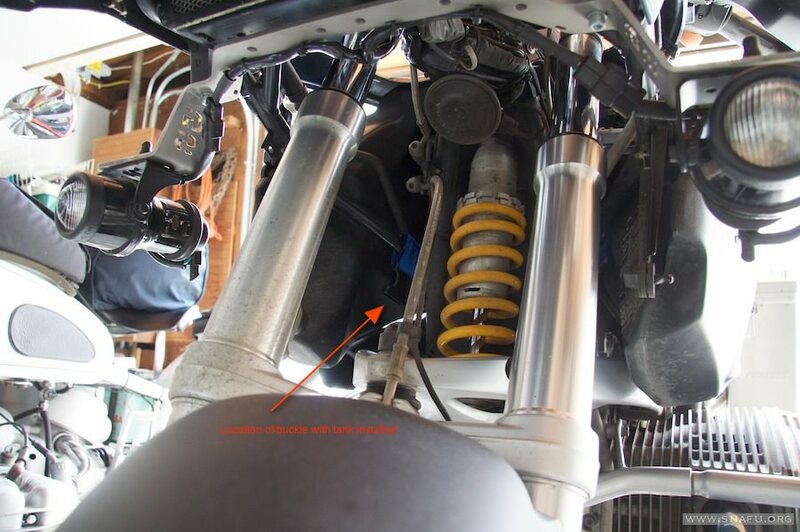 Of course, I could throw them on the KLR also I suppose, but I'll have to look at mounting options. On my wethead I mount them them behind the radiator across the front of the engine case, behind the telelever A Arm. It works well. Right bag is my kitchen and coffee making supplies. Left bag is a couple liters of water in a hydration pouch plus other water related supplies... filter, canteen, bucket, etc. There is lots of space left over to stuff supplies purchased the last stop before making camp.